What will Granite City use CSFT revenue for? Yearly budgeted expenses such as parking lots, sidewalks, roofs, and other necessary major repairs. Technology Infrastructure including servers, data network, expanded wireless capabilities, increased redundancy / failover, and classroom enhancements for increased device support. CSFT revenue could help Granite City avoid the need to sell bonds or take out loans that would cause the school district to incur additional debt and interest costs. Additional debt and interest cost causes property taxes to rise. 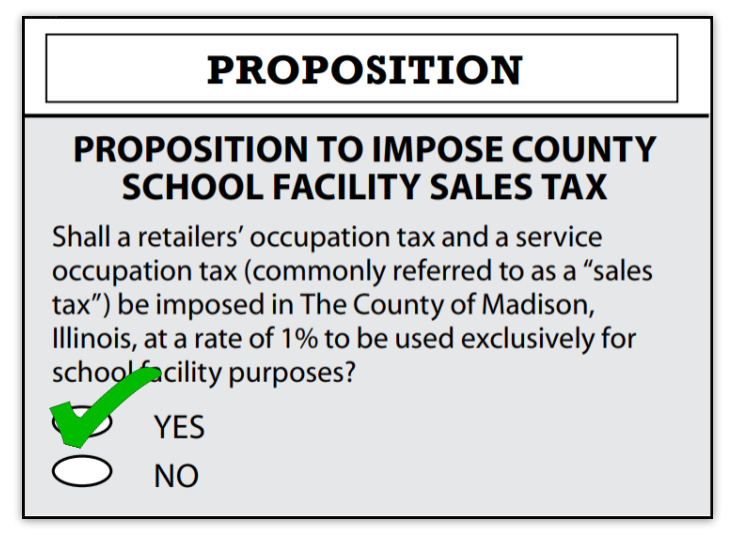 If the CSFT had been approved in 2011, the Granite City School District could have reduced property tax bills $444 over 5 years per $100,000 of property value by using CSFT revenue instead of selling bonds, which could have resulted in the following savings.